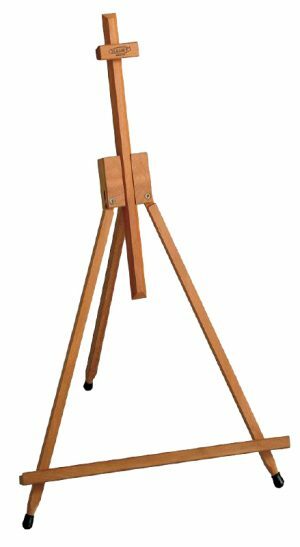 Highly recommend for oil, acrylic or watercolour painting and sketching. Constructed of oiled, stain-resistant beech wood with brass fittings. 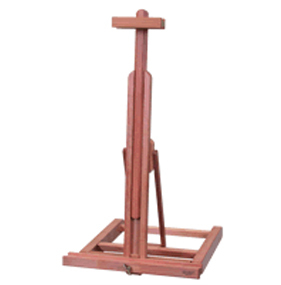 Canvas holder can be adjusted to any angle between vertical and horizontal. Variable height adjustment even below top table level. Folds flat for transport and storage. ideal for indoor use. Overall dimensions: 36cm(w) x 105cm (h) x 38cm (d).